An internal Brand and Culture identity for NSW Government Agency, DFSI. 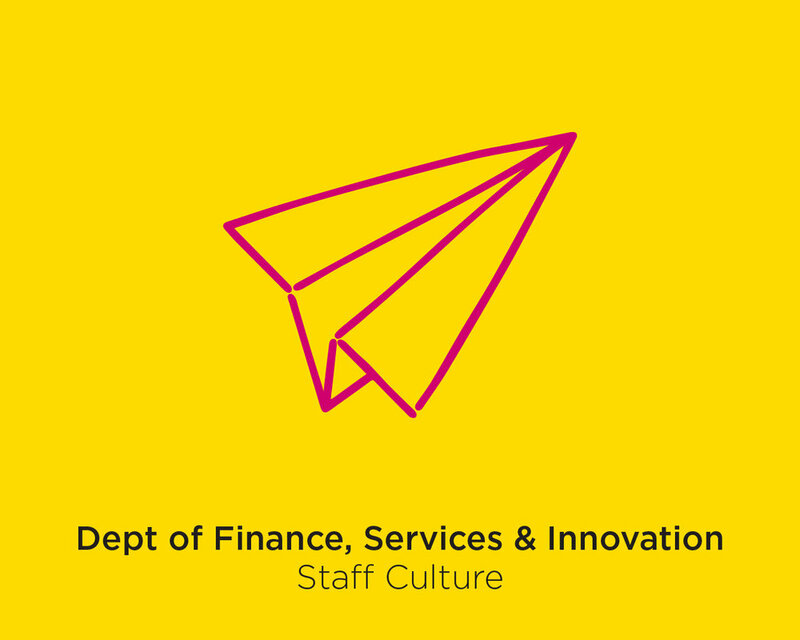 The Department of Finance, Services and Innovation are undertaking a strategic staff culture and change program. The graphic symbol for the program is a paper plane. 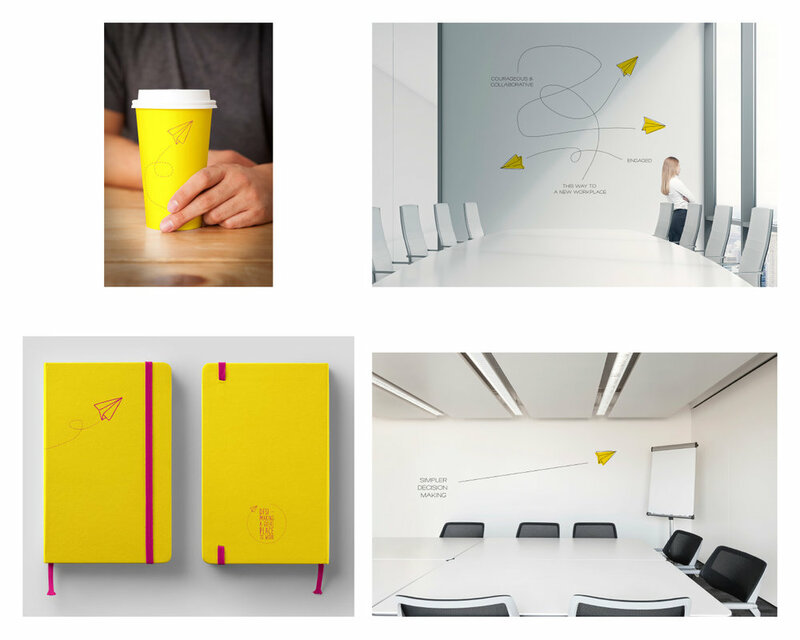 The project included Brand Identity, Brand Strategy, Brand Guidelines, Print and Digital Design. An internal Brand identity for NSW Government Agency, DFSI. The Department of Finance, Services and Innovation are undertaking a strategic staff culture and change program. The graphic symbol for the program is a paper plane. We have taken the old way of working, folded it, and thrown it in a new direction. All the graphics are hand drawn - reminiscent of a white board marker plan, it is an ongoing changing program that all staff can contribute to.